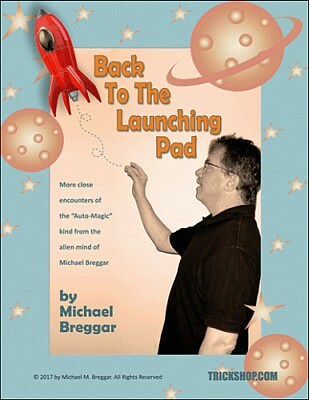 Author Michael Breggar has produced the Auto-Magic column for "The Linking Ring" magazine for several years, and has a passion for sharing professional and practical magic effects that are relatively sleight free. The usual designation for these tricks as "self-working" isn't something that Michael is comfortable with, hence his preferred term "auto-magic". While the method of a trick might be self-working, true magic is never entirely self-working, and thought needs to go into good presentation to turn a mere "trick" into real and entertaining magic. The thesis underlying his columns and his book is that the art of magic lies in its presentation, and thus strong magic doesn't necessarily require sleight of hand. As he reminds us, performing magic is not a matter of going through simple mechanics like painting-by-numbers, but to reach the heights that it deserves as an art-form, it requires artistry in the presentation. 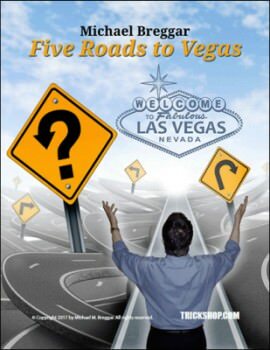 The Auto-Magic column proved to be a big success, and soon Michael found himself being asked to write a book inspired by his columns, which led to the publication of his first book The Five Roads to Vegas. Published in 2017, this included eight effects, some ideas for variations, and a couple of short essays (one serving as the introduction, the other as the conclusion) that discuss how to approach self-working magic. 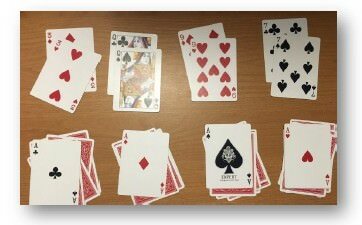 The tricks include the excellent poker routine that gave the book its title, a great idea for an ACAAN routine, some other card tricks, and also some `self-workers' with coins and mentalism. This sequel, Back to the Launching Pad, has just over 50 pages of similar magic. Once again the tricks that are taught have two important bookends that are well worth reading, including a brief introduction that has some helpful things to say about self-working magic. The book concludes with another essay entitled "Stuff You Don't Want To Read But Really Should", in which Michael explains his own approach to producing new magic effects, by starting with the presentation, and then working backwards by considering the method. Unlike many older magic books, some of which have a very clinical style, Michael Breggar's writing is very conversational and laid back. As a result, reading his material has the feel of sitting on the couch alongside a seasoned magician, and listening to him as part of a friendly chat about magic. The format he uses is fairly consistent: after some words of introduction, he walks through the effect, including all the suggested patter. This part allows us to enjoy the magic from the perspective of the spectator, and it's only afterwards that he lets us in on the method, explaining the secret. In my view this approach works well, because it allows us to distinguish between method and effect, and heightens the importance of presentation, while giving some good suggestions for this at the same time. The book also contains some photos which do a good job of helping follow the explanations. 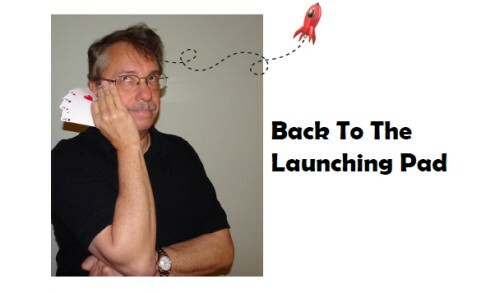 ​Like its predecessor, Back to the Launching Pad has received many accolades, all thoroughly deserved. I recommend it to anyone who has a passion for magic, and is especially interested in some novel presentation ideas. I'm already looking forward to Michael Breggar's next book Dancing With The Cards, which is coming out soon! Thanks, Ender, for your very kind words! Much appreciated!